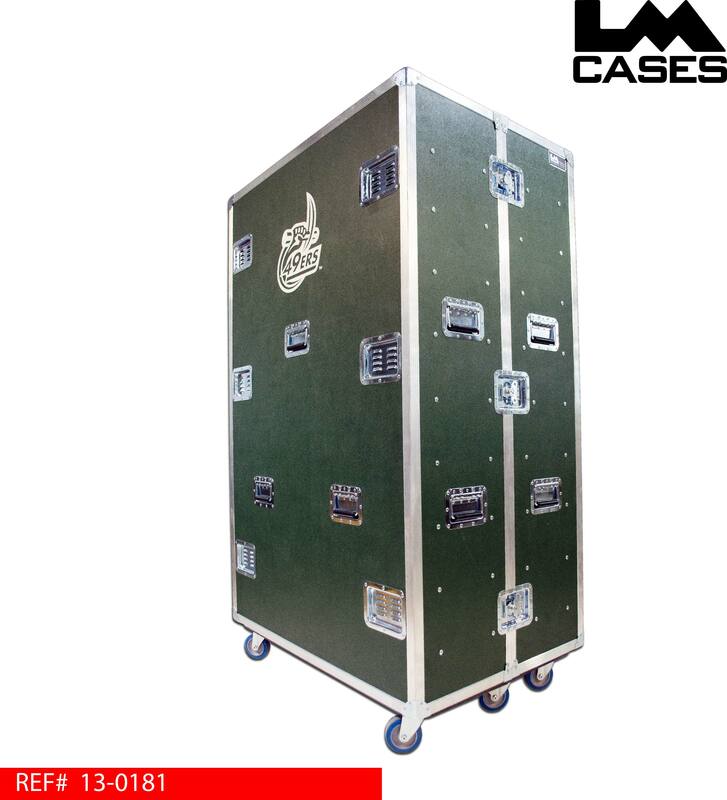 This trunk was designed for UNC Charlotte 49ers football program to hold 100 pairs of shoes. 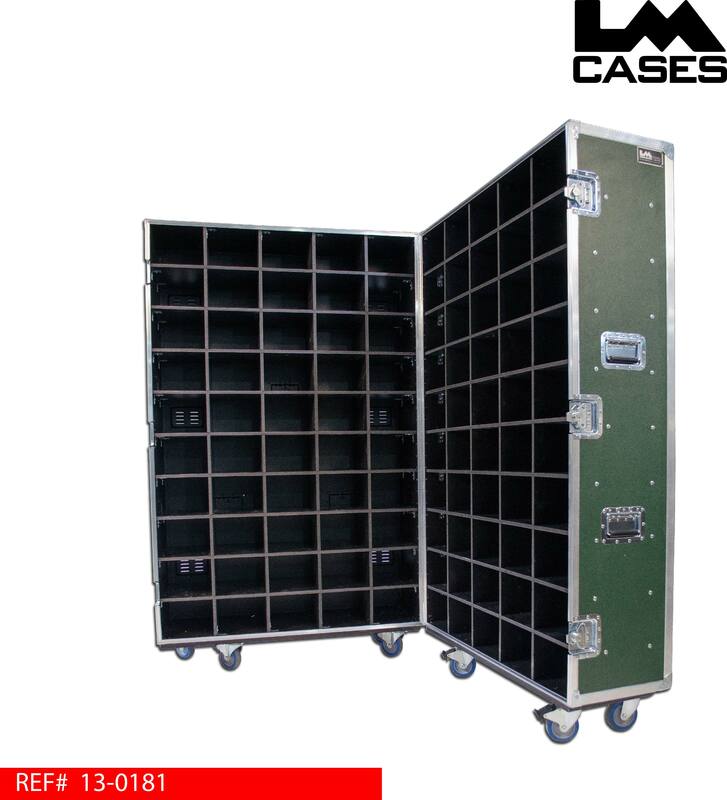 The trunk interior features a 1/2" Marine Grade plastic divider network and is finished with black texture coating for easy clean up. 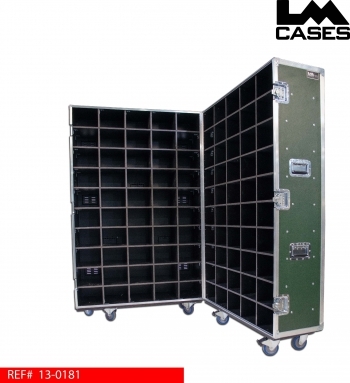 The case exterior is built of 1/2" plywood laminated with Forrest Green ABS plastic. The exterior also features a custom silkscreen of the 49ers logo, deep recessed hardware and 4" Colson casters. Special thanks to UNC Charlotte!